Nancy is back in the Tap Room with Pennsylvania's finest for Thursday night Jazz! With pianist JUDY PALMA, bassist STEVE BESKRONE, and drummer GUSTEN RUDOLPH. Festival performances from 1:00 – 10:00 pm at the Bethlehem Municipal Ice Rink. 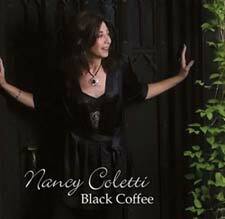 Come and here NANCY COLETTI with guitarist WALT BIBINGER perform a mix of jazz standards, blues, and pop classics at Circa.